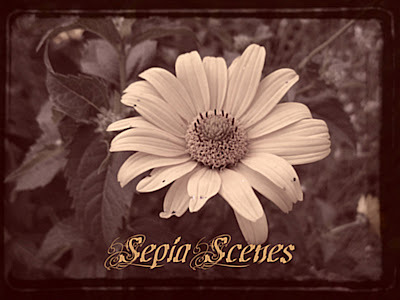 Hey gang, I used the flower sepia badge so we'll start thinking about Spring! I took this shot a couple of years ago, well more than a couple of years because it's not a digital photo. A robin laid her eggs (blue eggs) in her nest balanced on my wooden fence in my back yard. After sepia-izing the photo I erased one egg to reveal it's natural color. Mr. Linky is down there for you to sign, leave a comment, and visit your Sepia Scenes friends. oohh i'm excited about spring as well! A lovely nest and it´s a great photo with that blue egg. Your header with the clover is just lovely. The egg is precious. I love the blue egg coming out from the rest. Nice toning here mary. It´s so beautiful. Love the blue color on the egg. PS: the second link is in error...working to fast, indeed! My little Irish heart LOVES this header! And the nest - I love it as well. A wonderful selective sepia! 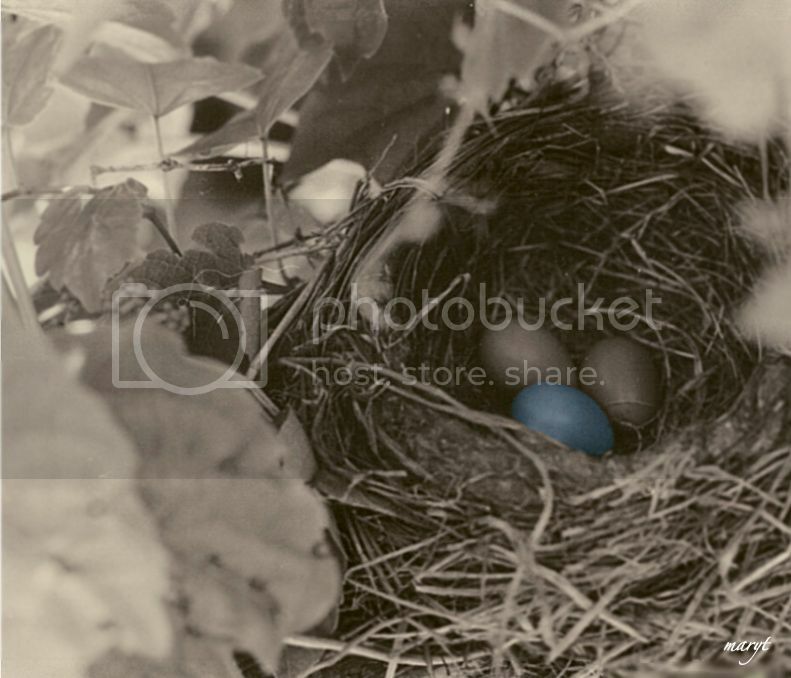 I absolutely love this picture--one brightly colored blue egg. Spring is on it's way. I have a similar photo. Would it be ok with you if I try this same treatment on it? That's a beautiful shot, Mary. The one blue egg is striking. I like your new header with the lucky clover. Nice picture with the blue egg! Very nice shot Mary. I've been seeing more robins these days. Hope it's a harbinger of spring. Well if that doesn't put you in the mood for spring?! Love it! thats really beautiful! :) love how you did it! Very cool with the one blue egg, MaryT! Wow! That is an awesome picture of the nest. That is so precious to see!